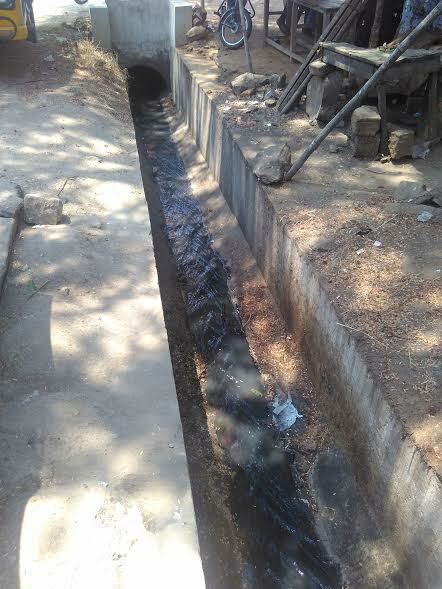 This is a picture of a gutter in a place called Annur near Coimbatore. This gutter brought back some strong memories and my eyes wandered to my ring finger. You would have heard the joke about marriage being a three ring game: Engagement Ring, Wedding Ring and Suffe Ring. This post is about the second one and it is written after 10 years of it being on my finger. There are two pieces of jewellery that are constantly on me both have a connection to special women in my life. The first is a cross on a chain that is a gift from my mother and the second is the wedding ring. I seldom take off both however this post is about the times when the ring tried to get away! Instance 1: This happened few years ago during a trip to Tuticorin. This was on a flight from Tuticorin after the inflight meal when the attendants were collecting the trash, the ring fell off into the trash bag. I did not notice and when I did I got frantic and called the air hostess. I asked to look into the trash bag but she asked me to wait then I saw her wear gloves and patiently sort out the entire trash bag, finally after she retrieved it she washed, dried and gave it to me with a smile. I know for sure that my Thank you will never be enough but I said a silent prayer for her as I left the flight. Instance 3: This takes me back to the gutter at the start of the story. As I got out of a car my finger got entangled on a string hanging near the car and as I attempted to pull free my ring slipped off my finger and fell into the gutter. My colleague who was with me found his cell phone light to be insufficient and bought a flashlight from a shop nearby. Then both of us started flashing the light and tried to spot the ring without much luck. Few bystanders and locals who noticed us asked us what was the issue when we told them that we lost a ring and they realized that it was worth a sovereign or so they started giving multiple ideas none of which seemed workable. Then two of them got into the gutter and literally poked around till they found it. They gave it me as my colleague found some water to wash it. I kept repeating thanks and thought of giving some money in gratitude, they just smiled, washed their hands and went away. 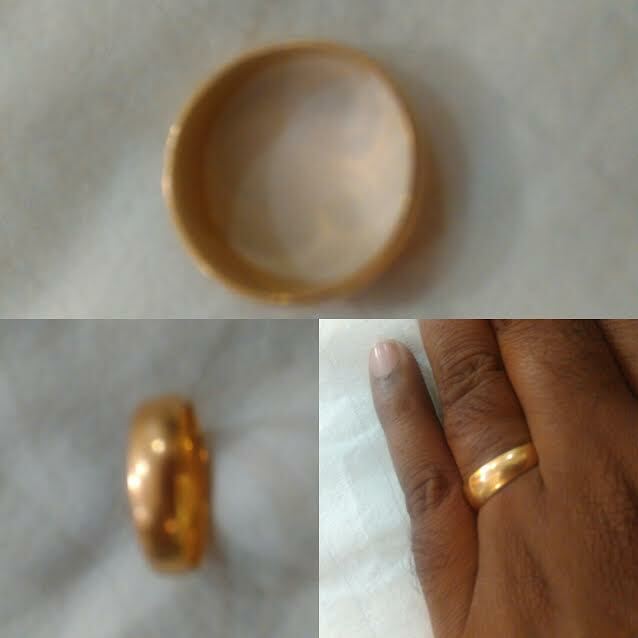 Instance 4: This time I lost it in a bus when my ring got struck in my bag and in the rush to pull it free the ring pulled free and disappeared. This time quite a few of my co passengers joined me on my knees looking for the ring. Soon it was found and it returned to its rightful place. - No matter what happens marriages are forever and despite every set back it will come back to its rightful state that is togetherness. - Staying married is hard work and needs a lot of help.